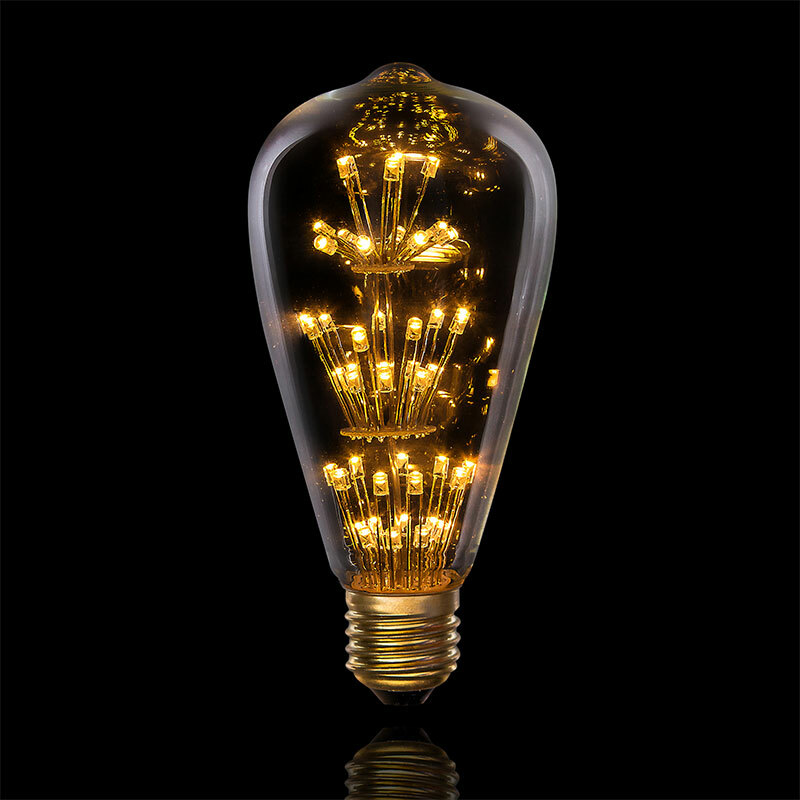 Placing a modern spin on vintage style, this designer Edison style light bulb is complete with 4-tiers of LED lights that create an illuminated chandelier effect. 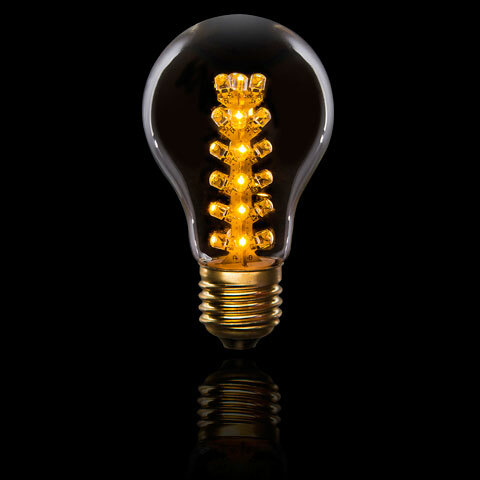 Making a designer lighting statement on its own, this drop shaped LED Edison glass light bulb pairs especially well with bare bulb light fixtures and offers lots of character that transforms lighting with its simplistic, vintage charm. 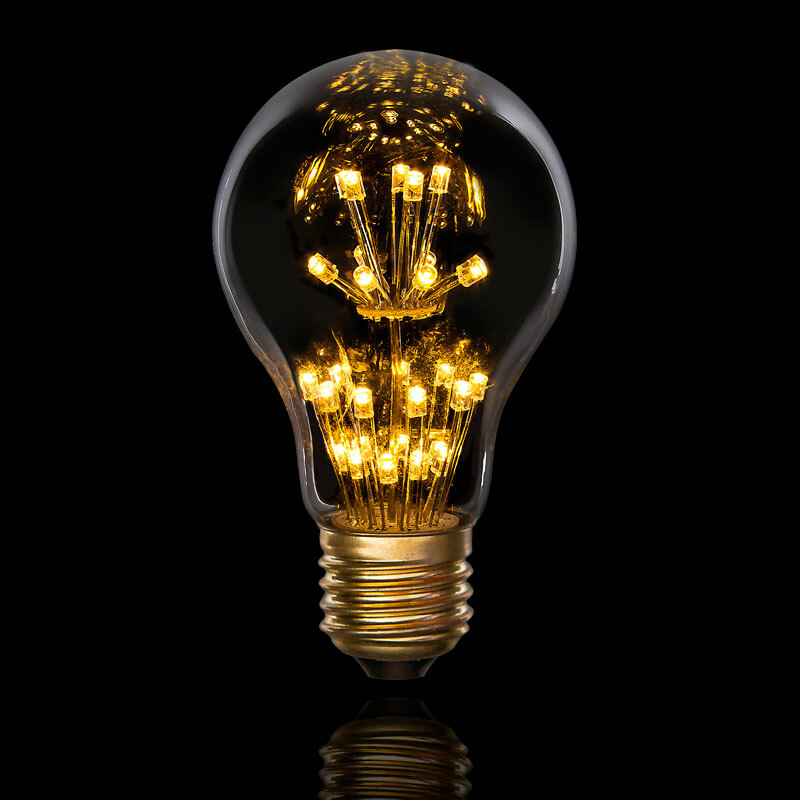 Designed with inspiration from the early 20th century, the Vintage LED Light Bulb collection features a wide variety of unique lighting accessories that stylistically create a nostalgic and illuminated look. Bulb Size: 2.25" x 4.5"